Comment: Looking for air seal and attic insulation. Also considering LED can light insulators. Comment: Outside brick and inside plaster nothing in between. 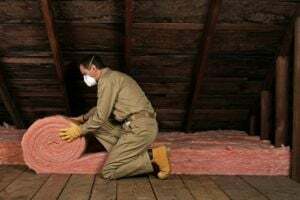 Comment: Looking for prices on getting additional insulation in our attic to combat the ice dams/icicles we experienced last winter. Comment: I forgot to mention, insulation would have to be blown in through brick exterior. Will look up what kind of insulation is needed. All new to me. but will check a website. I'm a senior citizen, on fixed income, and handicap. But wanted insulation done next month. Comment: Attic well insulated but found out my walls not insulated. Would like quotes! Fraser Insulation Contractors are rated 4.66 out of 5 based on 1,097 reviews of 16 pros. Not Looking for Insulation Contractors in Fraser, MI?